A debut novel set in 1980s Dublin about an unconventional love affair between a lonely, working class teenage boy and a glamorous but troubled older woman. ...an unforgettable love story in writing that is often exceptional ... Unusually, the entire tale is presented in the second person. When used for more than short passages this narrative approach can become strained. 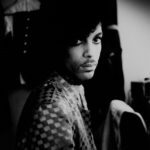 Yet here any potential over-intensity is offset by the measured pace of Sonny’s thoughts and insights, and the combination works wonderfully well. Geary’s flair for visual description helps ... Occasionally there is unnecessary telling when showing has sufficed, with pathos intruding into Geary’s beautifully wrought scenes ... Even so, Geary captures time and place startlingly well. More important, he lays out the inexorable dynamic of this tragic relationship with masterly economy. 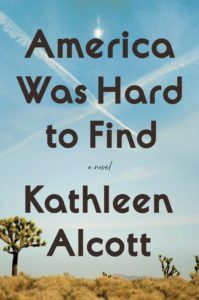 The affair that ensues is delicately handled and entirely convincing. Vera opens windows into other worlds – art, literature, travel, sexual bliss. What Sonny offers her in return isn’t revealed until the closing pages. Such last-minute revelations can sometimes feel cheap. Not this one. Geary’s evocation of the harshness of Dublin in the 80s is pitch-perfect – inadequate central heating, outdoor drinking, and the awful lack of opportunity ... The novel reads as though it might become the first in a series charting Sonny’s life. He is a sufficiently intriguing character to carry them and Geary is a sufficiently intriguing writer. Montpelier Parade is an auspicious debut. 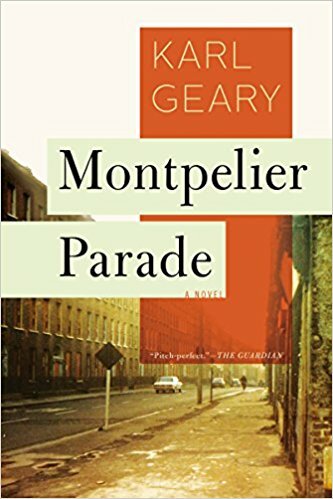 Karl Geary’s first novel, Montpelier Parade, presents us with the fraught experience of first love, told in beautifully doleful prose that sometimes exhibits Salinger-esque sparseness ...a delicate work that treats its subject with great sensitivity, ensuring we experience that same tenderness of feeling that Sonny does, and hear the words on the page like the brutally honest voice of a friend ... A quiet and keen observer, Sonny breaks the reader’s heart in the most banal of ways. The moments of tragedy in Sonny’s life are delivered in the same quietly devastating manner as his mundane experience... By the time Sonny’s two worlds collide –– the world he lustfully imagines and the one that comprises his waking life –– Montpelier Parade leaves us as it leaves Sonny, pondering how life can be both empty and full at once. What did you think of Montpelier Parade?